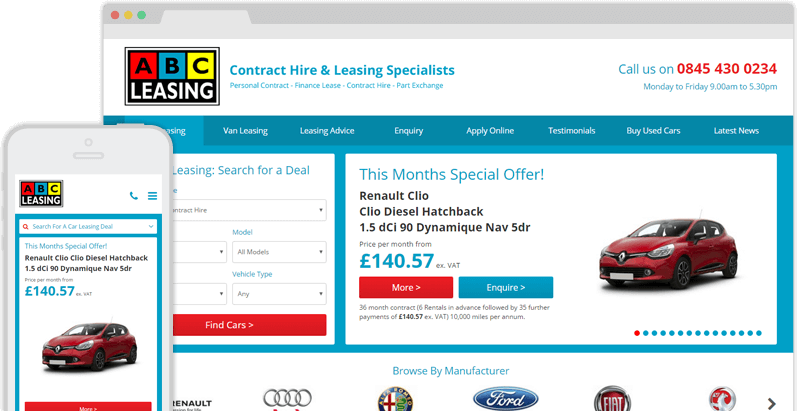 Car leasing specialists ABC Leasing asked us to create an attractive, user-friendly website, with a full CAP integration, that would help them to climb the search engine ranking and promote their business to a wider audience. We achieved this with a sleek responsive design, a versatile user interface, and carefully-thought-out search engine optimisation. The result? 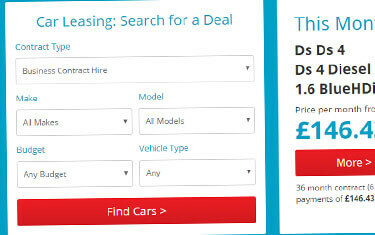 A superb web solution that makes it easier than ever to lease a car or a van! We created www.abc-leasing.com, an easy-to-use website that puts ABC Leasing streets ahead of other leasing companies online. The finished website allows users to select a vehicle, learn about the available leasing options, and even apply for their lease online; furthermore, the site’s responsive design allows the user to do all of this on their phone or tablet just as easily as on their desktop PC. 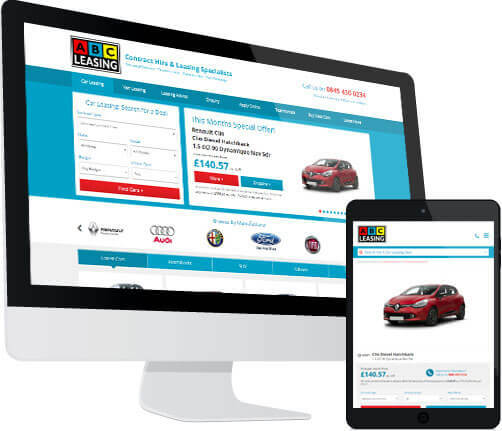 "Designer Websites have been looking after the website design and management for ABC Leasing Ltd and have enhanced the way we do business with their professional approach and their superb knowledge of website development and optimisation. Jason at Designer Websites offers a very reliable service, and his team really understand how to create a website that looks great and functions well on all devices. No matter how complex your requirements, I highly recommend the use of their expertise to grow your web business." 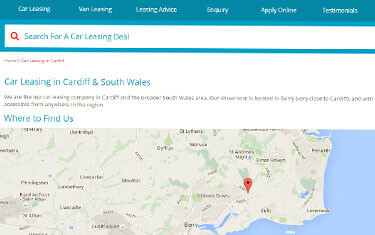 Car Leasing Website: ABC LeasingBased in South Wales, ABC Leasing are a car and van leasing company offering a variety of lease packages for both personal and business use. Concerned that their outdated website might be putting off potential customers, ABC came to Designer Websites with a challenge: create a fresh new website design that ranks well and provides users with a straightforward means of selecting a vehicle and applying to lease it. Also, to integrate CAP vehicle data to ease management of the vehicles on the website. Vehicle SearchABC asked us to incorporate a sophisticated search function into their new website that would allow customers to browse their full range of vehicles (comprising several hundred different models) and choose the one they want online. Information pertaining to each available model was loaded into the website’s database quickly and easily using the integrated CAP vehicle data system, and we developed a tailor-made search system that allows customers to search by make, model, vehicle type (e.g. saloon, hatchback), and budget. The end user can specify a preference for some or all of these fields, or they can leave the form blank in order to browse ABC’s full range of cars/vans. Apply OnlineCustomers who don’t want to visit the ABC office in order to apply for a lease are well catered for on the company’s new and improved website: the ‘Apply Online’ option allows them to fill out an application wherever they may be, and thanks to the site’s mobile-friendly responsive design, it’s just as easy to apply from a smartphone or tablet as from a laptop or PC. 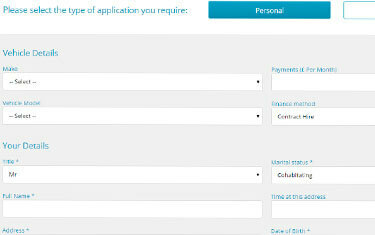 Potential customers who aren’t yet ready to fill out an application can still get in touch with the company using the more straightforward online enquiry form, which allows the user to ask questions and find out a little more about ABC Leasing before making their decision. Search Engine OptimisationABC Leasing, like most of our clients, were keen to see their website show up on the first page of Google results for their key search terms, which in this case included common phrases like ‘car leasing’ and ‘lease a van’ as well as more conversational long-tail queries like ‘what are the advantages of leasing’. In order to achieve this, our SEO specialists crafted the website’s content to target the relevant terms as effectively as possible; our copywriters also contributed additional pages offering advice on the leasing process and answers to frequently-asked questions. All of these factors helped ABC Leasing to rise up through the Google rankings and attract high volumes of traffic from relevant search result pages.